Since the age of five, I’ve been traveling. Whether solo or with a group, I’m always trying to make my time in the airport fast, efficient, and stress free. Here are six ways I maneuver the lines by cutting time in half so I can grab a smoothie, look at books, and relax before boarding. By now, I imagine anyone who is a frequent flyer has heard of TSA PreCheck. However, at times, I doubt it because people are still waiting in long lines at security which doesn’t have to be the case. Understanding everyone may not travel often, yet if you’re on a plane at least six or more times per year, then TSA PreCheck is a life-changing monetary investment. Most if not all (major) domestic airports have this option available. Perks include: not having to taking off your shoes, belts stay on, shorter lines, plus approved liquids and electronics can remain in your carry-on, and you don’t have to deal with striping in front of others to see. Note: Using this does require a government background check, but is worth the time applying. There are more TSA PreCheck lines in airports which make traveling better than ever. As much as I enjoy Global Entry, I’ve only been able to use it when entering the U.S. Los Angeles Airport (LAX) can be a zoo at customs, so expedited entry is always a plus, especially in cities like Vancouver that allow you to clear customs before entering the States. I’ve noticed when traveling to other countries like Canada and London, they have their own version of Global Entry for its citizens or even those who often frequent the countries. Regardless, I still think it’s worth having because it includes TSA PreCheck (domestic travel), and avoiding long lines at LAX or wherever home is for you. Yes! There’s another option that gets you through the lines faster, even TSA PreCheck. Located in most (major) airports, with more being added, CLEAR enables you to bypass the TSA Pre-Check line which is typically used to help get you through security faster. 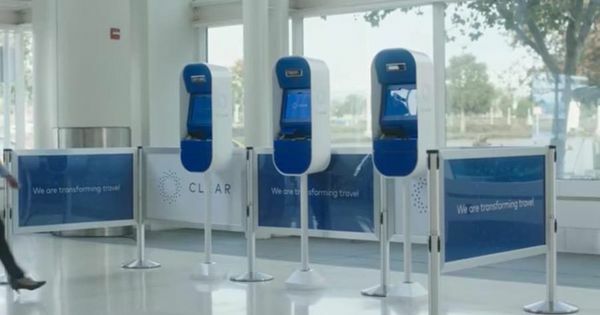 Located next to the PreCheck line, CLEAR is monitored by an attendee who confirms your identity using the CLEAR system - photo, thumbprint and boarding pass. You are then escorted to the front of the PreCheck line where the security agent ask to see your boarding pass and that’s it! You proceed through the actual security scanners then go to your gate. Within on week, I traveled to Canada and San Francisco where I was able to use CLEAR, spending less than ten minutes to get to my gate. Finding yourself constantly on the go calls for a good carry-on or checked luggage that can keep up and endure all the scratches, dings, and let’s face it, rough handling by airlines. I’ve gone the cheap route and ended up in some pretty awkward situations where one of the wheels broke, wouldn’t move, or squeaked. Embarrassing! Ultimately, leaving you with raggedy looking luggage that will hopefully get you from point A to B or wherever you’re going. Currently, I’m using an Away Bigger Carry On for domestic travel. It’s cute, sturdy, and comes with a lifetime warranty. When traveling abroad, I have a massive no name suitcase that holds all of my over packed OCD needs. I use a luggage belt too because when everyone’s bags start to look alike, you need something to make yours stand out. No one wants to take someone else’s luggage home or to the hotel because they assumed it was theirs. Some people are notorious for misplacing their passport, ID, and other documents before ever heading to the airport. Why not keep those important documents together by purchasing an organizer that holds everything you’ll need? Personally, I use an over-sized travel wallet that somehow fits my passport, credit cards, cash, and whatever else I might need. I also keep a copy of my ID and passport together that way if something gets lost, I can prove who I am. Some people prefer a physical boarding pass, while others have caught on to using airline apps to check-in and scan boarding passes. It’s easier and faster because at times, you might lose the paper boarding pass. If provided a printed pass, I actually use them and when home, add them to my travel bin of memories. To date, I’ve used the following apps without any issues: Delta, Air Canada, American Airlines, and Virgin Airlines. So there you have it. I hope this quick, yet detailed list helps you travel a little easier during your next business or leisure trip. Since I travel a lot for work, I’d love to know any travel hacks you have. Leave a comment below. ⓒ ESSENTIALLY CRYSTAL 2018. aLL RIGHTS RESERVED.